Ultrasound examination and surgery. 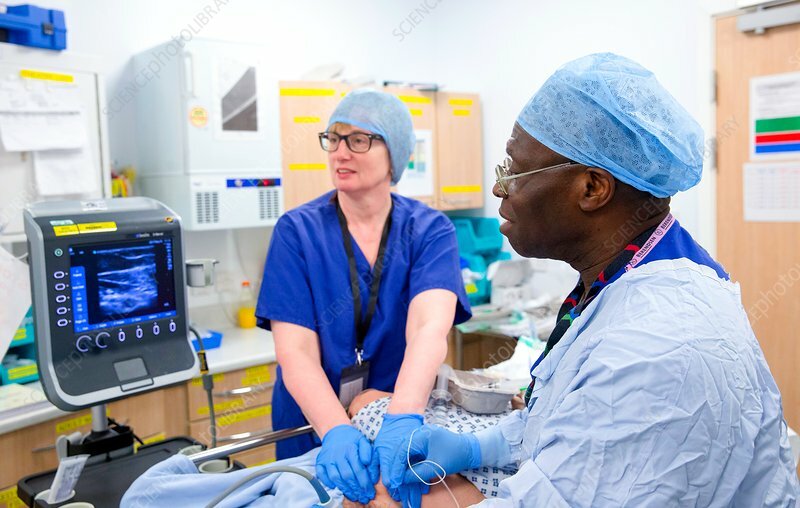 Surgeons using an ultrasound scanner to place a needle in a patient's groin during preparations for surgery. Photographed in the UK.